Rates of PTSD in firefighters may be heightened more so than in other professions. See, many people will experience a potentially traumatic event at some point in their life. But just because you have experienced a traumatic event does not mean that you will definitely go on to develop PTSD. However, people who have experienced multiple traumatic events have been found to be at greater ​risk for developing PTSD. One group of people that may experience many traumatic events as part of their job—and thus be at a heightened risk for PTSD—is firefighters. 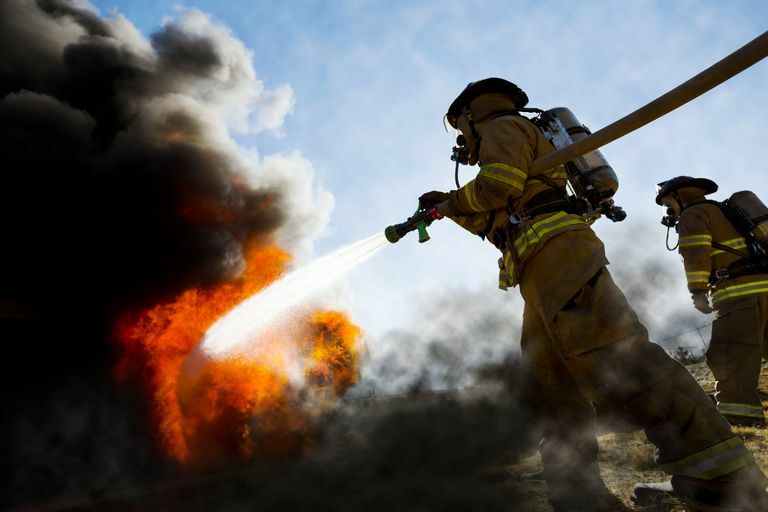 One study of United States firefighters looked at the type of traumatic events experienced. High rates of traumatic exposure were found. For example, many had been exposed to crime victim incidents, people who were "dead on arrival" (where the death was not due to natural causes), accidents where there were serious injuries, and some also reported that they had experienced stress associated with giving medical aid to children and infants. Another study found that firefighters generally reported that medical emergencies and motor vehicle accidents were the most upsetting types of calls that they received. It is clear from these studies that there is a big range in PTSD rates among firefighters. This is likely due to a number of reasons, including how PTSD was assessed (through a questionnaire or interview), whether other emergency responders were also surveyed along with the firefighters, whether the firefighters were volunteer or not, and where the firefighters worked. Even though firefighters might be at high risk for stress as a result of their jobs, it is important to point out that most firefighters will not develop PTSD. In fact, several factors have been identified that may reduce the likelihood of developing PTSD among firefighters after the experience of multiple traumatic events. One of the most important protective factors found was having social support available either at home or through work. In addition, it has also been found that having effective coping strategies available may lessen the impact of experiencing multiple traumatic events. This is not surprising in that, among people in general, the availability of social support and effective coping strategies have consistently been found to reduce the risk of developing PTSD following a traumatic event. Seeking out help may be an important way of reducing your risk of developing PTSD as a result of experiencing multiple traumatic events. There are a number of effective treatments available ranging from psychology to medication to help you overcome the impact of a traumatic event. You can also find out more information about treatment providers in your area through UCompare HealthCare. Bryant, R.A., & Guthrie, R.M. (2007). Maladaptive Self-Appraisals Before Trauma Exposure Predict Posttraumatic Stress Disorder. Journal of Consulting and Clinical Psychology, 75, 812-815. Bryant, R.A., & Harvey, A.G. (1995). Posttraumatic Stress in Volunteer Firefighters: Predictors of Distress. Journal of Nervous and Mental Disease, 183, 267-271. Corneil, W., Beaton, R., Murphy, S., Johnson, C., & Pike, K. (1999). Exposure to Traumatic Incidents and Prevalence of Posttraumatic Stress Symptomatology in Urban Firefighters in Two Countries. Journal of Occupational Health Psychology, 4, 131-141. Del Ben, K.S., Scotti, J.R., Chen, Y., & Fortson, B.L. (2006). Prevalence of Posttraumatic Stress Disorder Symptoms in Firefighters. Work and Stress, 20, 37-48. Haslam, C., & Mallon, K. (2003). A Preliminary Investigation of Posttraumatic Stress Symptoms Among Firefighters. Work and Stress, 17, 277-285. Heinrichs, M., Wagner, D., Schoch, W., Soravia, L.M., Hellhammer, D.H., & Ehlert, U. (2005). Predicting Posttraumatic Stress Symptoms From Pretraumatic Rsk Factors: A 2-year Prospective Follow-Up Study in Frefighters. American Journal of Psychiatry, 162, 2276-2286.